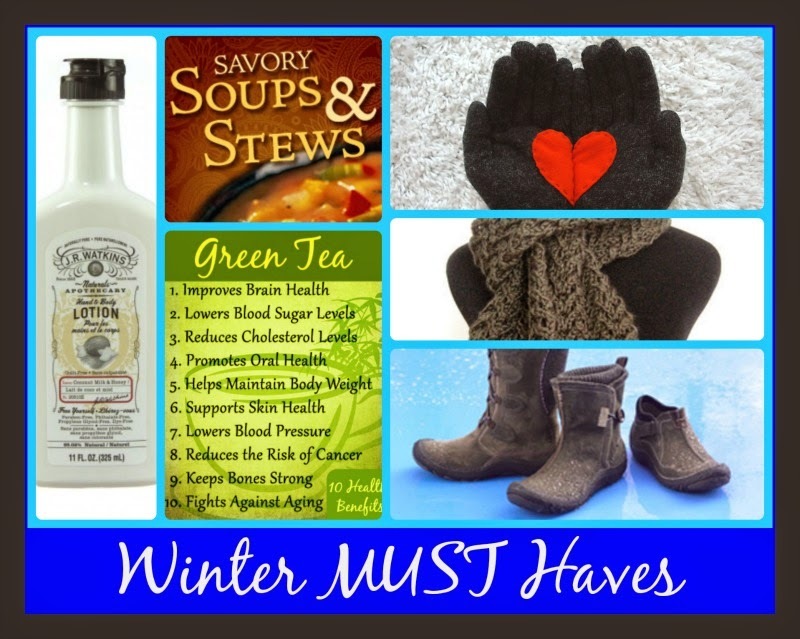 Today we are listing what we CANNOT live without in winter. There are, I'm sure many many more things, but these are my top items! The one thing I am absolutely sure of is that if I have a sore throat, dry skin, cold feet or hands, cold food or catch a cold I am NOT happy. I drink a cup of green tea every night and try to make very balanced comfort food meals to warm up my family from the inside out. Here are a few of our favorite soups and stews links for you. OH yummy! There are a few of these that I will have to try! Love your recipes! Have written a couple of them out: perfect for using up left-overs....thank you!!!! Fab post and yummy looking recipes. The Black Eyed Pea Chili and those cheese biscuits yummm. You always have the best recipes. I agree about the sore throat, that for me is the worst thing ever.